You can see the power of using Secure Delivery Center as your software delivery solution. However, you don’t want the expense and maintenance of a dedicated machine for your SDC delivery hub. We have you covered with RoseHosting. * Hosting and SDC software license sold separately. Instead of maintaining your own server hardware, have your delivery hub and Admin Console available in the cloud. RoseHosting, our cloud partner, can offer you a hosting package for as few as 10 user or as many as 10,000. 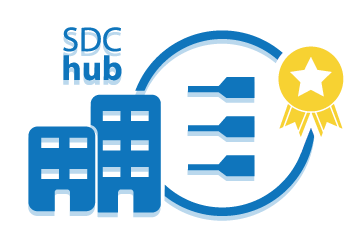 With your SDC delivery hub in the cloud, you are always up to date with the latest version of SDC. 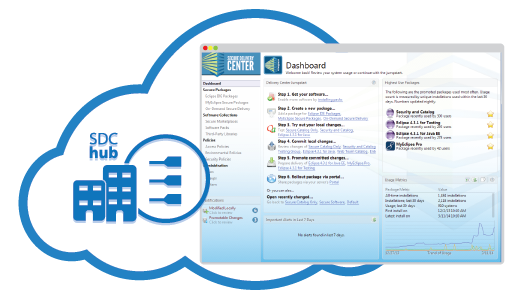 Additionally, software packs are installed for you, so your SDC hub is always ready to go.